Newcomer Family Obituaries - Mary M. Foster 1942 - 2019 - Newcomer Cremations, Funerals & Receptions. Foster, Mary M. age 77, of Cincinnati, Ohio passed away peacefully on Friday, March 22, 2019. She was born in Cincinnati, Ohio to Charles and Johanna Tieke (nee Schmitt). Mary was a member of the Amvets Auxiliary Post 1988 and the Cheviot Eagles #2197. She was preceded in death by her parents; her brothers, Richard, Charles Jr., and Norbert Tieke; her sisters, Joan Tieke and Evelyn Perrmann. Mary is survived by her beloved companion, Pat Canfield; her brother, William (Yvonne) Tieke; dear friends, Edna Madden, Lois Martin and Roseann Weitlauf; and many nieces, nephews, other family members and friends. In lieu of flowers, memorial contributions may be made to, SPCA, St. Boniface Church or Hospice of Cincinnati. Visitation will be held on Thursday, March 28, 2019 from 4:00 pm - 8:00 pm at Newcomer Funeral Home - West Side Chapel, 3300 Parkcrest Lane, Cincinnati, Ohio 45211. Mass of Christian Burial will be held on Friday, March 29, 2019 at 11:00 am at St. Boniface Church, 1750 Chase Avenue, Cincinnati, Ohio 45223. Burial will follow at St. Joseph New Cemetery. To share a memory of Mary or leave a special message for her family, please click the Share Memories button above. Add your memories to the guest book of Mary Foster. 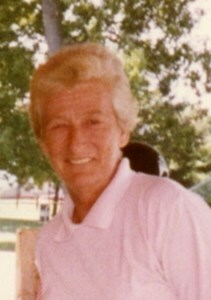 Today was a tough day Aunt Mary and one I’ve been dreading. You taught me so many things that I will carry with me always. Chief among them....What it means to be a classy woman and how to fight the good fight no matter how hard it gets. I will love and miss you always. I promise to keep open arms for Pat and to look out for her for you. Mary, my friend, my sister. We had lots of years of laughs, working together, and sharing stories and shenanigans together. You are already missed :(. Mary, you were one of my favorite customers when I met you as I tended bar at the cheviot eagles, you were my first female in my adult day care. I enjoyed the times. We went out with our friends on our birthday's, I. Love. You and miss you. Rest. In peace. Have. A good time with my day care peeps that are with you now. Will miss my good friend Mary. We had fun doing spontaneous lunches, going to plays, sharing birthday dinners and veterans activities. She was quick witted and always made me laugh. Gone but not forgotten. Rest in peace.